Here’s how to make a HOT DOG LOG CABIN!! Remember Lincoln Logs, those wooden toys you make log cabins with? WELL, Tastemade has made a tutorial on how to make a LOG CABIN with HOT DOGS! 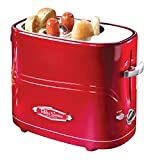 YES, a HOT DOG LOG CABIN! Just like Lincoln Logs… but meatier (soy dogs would work too!)! You just need 45 hot dogs to start building your MEAT CABIN! 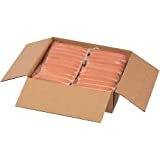 6:1 Ball Park Beef Frank Hot Dog, 10 Pound -- 1 each. Good morning Paul what a blog Gosh.. I know it’s 4:15 A.M. here in Florida eastern standard time.. this blog makes me want these delightful hot dogs.. there’s also vegetarian and vegan hot dogs they are made from plants or just called plant based ingredients.. thank you Paul for making my morning just beautiful.. I send you beautiful energy for today & the weekend may you have a wonderful day! ?♥️?❤️??? If we think about the large scale of construction, then a meat cabin could be a good alternative to a gingerbread house. But I will not even count how many hot dogs are needed for this. Thank you, Pee-Wee! If you’re going to live in an edible house, it’s probably safer to choose one which attracts herbivores rather than carnivores.